The migrants had traveled from Honduras, Guatemala and El Salvador. 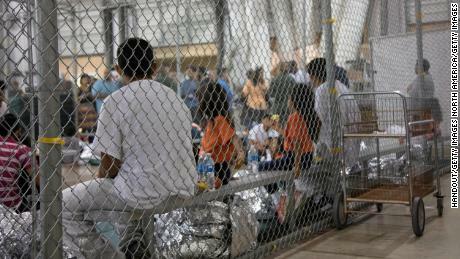 The US government separated most from their children last year. “People were just getting really desperate because it had been eight or nine months since they’d seen their children. … A lot of them didn’t want to wait anymore,” said Erika Pinheiro, a lawyer who accompanied the parents as they arrived last Saturday at the Calexico Port of Entry, about 120 miles east of San Diego. Just a few days later and thousands of miles away, Homeland Security Secretary Kirstjen Nielsen sat in a Washington meeting room and painted a dramatically different picture. 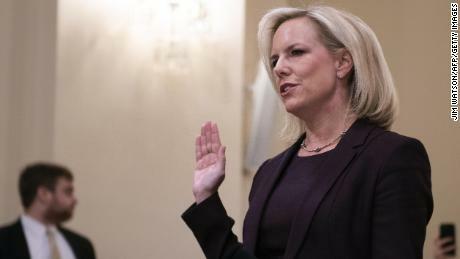 “There was no parent who has been deported, to my knowledge, without multiple opportunities to take their children with them,” Nielsen said on Wednesday. The two events highlighted a deep divide between the Trump administration’s defense of its now-reversed zero-tolerance policy and what advocates say is the devastating reality that separated families still face. The rare arrival of a group of deported parents on America’s doorstep, first reported by The Washington Post, is a reminder that the family separations crisis is far from over. A court ordered a months-long effort to track down deported parents in response to a federal lawsuit by the ACLU. US officials admitted this week to deporting more than 470 parents without their kids. But they have maintained that only happened after parents consented. Advocates have argued parents were misled and coerced into signing paperwork they didn’t understand. And they’ve asked the government to bring back 52 deported parents to the United States. Meanwhile, more than two dozen deported parents showed up at the border last Saturday. According to advocates, the parents were given an impossible choice: Should the government deport their children back into dangerous conditions, or should the parents waive their rights to be reunited? So, Al Otro Lado and other groups, including Families Belong Together and Together Rising, raised money, booked travel and supported the families as they pushed for another option. Advocates say they started speaking with deported parents in August. But it took months to coordinate the trip. And for weeks, the families waited in Tijuana for the right time to present themselves at the border. The group that arrived over the weekend included 26 parents who were deported without their children and are trying to reunite with them, Pinheiro said. Another father couldn’t make the trek because of health issues and sent an older daughter in his place. 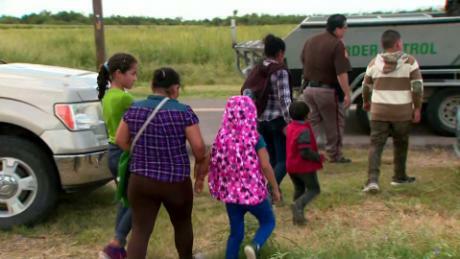 The group also included two separated families that had been reunified but returned to the United States because they faced threats in their home countries. Asked about what will happen to these parents and other family members traveling with them, US officials have been tight-lipped. 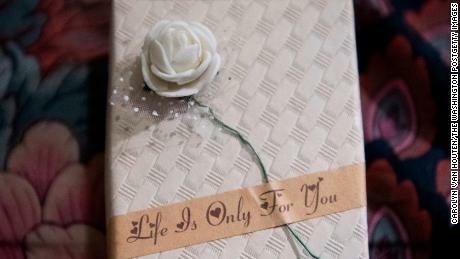 They cited privacy restrictions and policies against commenting on ongoing litigation. A US Customs and Border Protection spokesperson said 53 Central Americans had arrived at the pedestrian port of entry Saturday morning. Officers began processing them more than nine hours later because the port of entry “was at capacity and unable to intake and process any other immigration cases” when the migrants arrived. Advocates say the separated children are 6 to 18 and scattered across the United States. Some remain in government custody, some have been released to other family members, and some are in foster care. It’s not clear what will happen next with their parents’ asylum cases. It’s rare for deportees to get another shot at asylum. The US generally bars anyone from applying for asylum if they previously applied and were denied by a judge. Pinheiro says most of the deported parents in the group never saw a judge or asylum officer. Most parents in this group remain detained almost a week after they arrived at the border, Al Otro Lado said. More than a dozen have been released from custody into the United States. It’s common for asylum-seekers to be detained after they cross the border — for months or even more than a year — as their cases go through US courts. Pinheiro said authorities have told her the parents must pass credible fear interviews, a key step in the asylum process, before they’ll consider releasing them. It can take several weeks for such interviews to be scheduled. Trump administration officials this week were on the defensive about family separations and their aftermath. And now they’re also facing a major shakeup in the lawsuit over separations. US District Judge Dana Sabraw ruled Friday that potentially thousands more separated families be included in the lawsuit over separations. The ruling is a blow to the administration, which had argued that a new group of separated families revealed in a government watchdog report shouldn’t be included. And as a result of the judge’s order, officials may have to comb through a massive trove of case files and pinpoint how many families were separated going back as far as July 1, 2017. Government attorneys had argued that would be a burdensome undertaking and “blow the case into some other galaxy of a task.” In court filings, one official said analysts would have to comb through more than 47,000 files to even begin. Advocates say they’re ready to help, no matter how long it takes.